Carnation Auto Blog: Dodge SRT Viper GTS - The Most Powerful Sports Car In The World!! 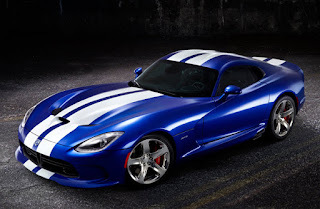 Dodge SRT Viper GTS - The Most Powerful Sports Car In The World!! Sports cars are synonymous with Europe. From BMW to Audi to Ferrari, Lamborghini, and Mercedes, luxury super fast sports cars market has been dominated by the Germans, Italians, and British. But, Detroit, America based car manufacturer, Dodge changed all that. After almost having lost the battle of numbers, Dodge has returned and how! When the 5th generation all-new 2013 Dodge SRT Viper GTS was unveiled recently, people present couldn't help but gush about its awesome looks and unbelievable specifications & performance. This 2-seater, iconic all-American supercar, the new 2013 Dodge SRT Viper GTS, a hand-built car rides high on superior craftsmanship, a wide range of new technologies as well as ergonomic improvements. And all this, while respecting the visceral legacy of the sport car's performance. 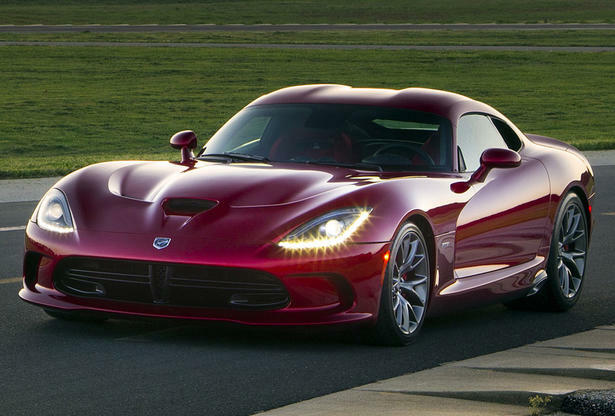 With the unveiling of the 2013 Dodge SRT Viper GTS, Dodge, now a Chrysler Group LLC owned company, has also launched the new SRT brand. 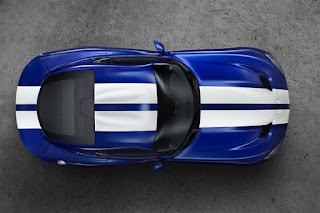 Under this brand, the company will strive to keep the legendary Viper name alive and maintain its synonymity with American made world-class supercars that are perfect examples of what the country can offer the world. 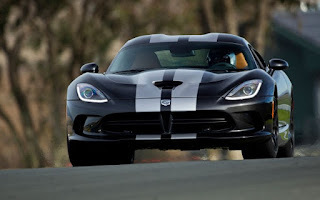 The first two models to be built under the SRT brand will be 2013 Dodge SRT Viper and 2013 Dodge SRT Viper GTS that will boast of new exterior and interior designs, premium materials, aerodynamic shapes and a technologically advanced carbon fiber and aluminum skin. So what's under Dodge SRT Viper's hood? The muscle car has a hand-assembled 8.4-liter full-aluminum, V-10 overhead-valve engine. The car also has "a new ultra-high flow & lightweight composite intake manifold, high-strength forged pistons, sodium-filled exhaust valves, new catalysts to reduce back pressure and an aluminum flywheel that reduces reciprocating losses. More than 25 pounds has been shaved from the fully dressed engine." as per the company release. These Viper babies will churn out 640 HP, and 600 lb.-ft. of torque. For those who don't know, this torque figure is the highest for any "naturally aspirated" engine in the world!! The car will be able to achieve maximum speed @ 6200 rpm through the 6th gear on its Tremec TR6060 six-speed manual transmission, thus earning outstanding handling, ride, and maneuverability.